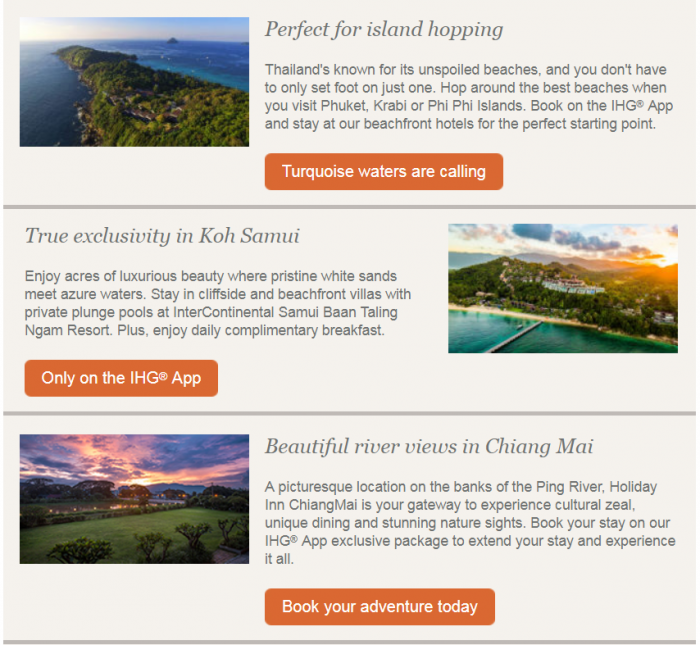 IHG Rewards Club has launched new sale for stays in Thailand through September 30, 2018. Members that book three nights can get the third night free. 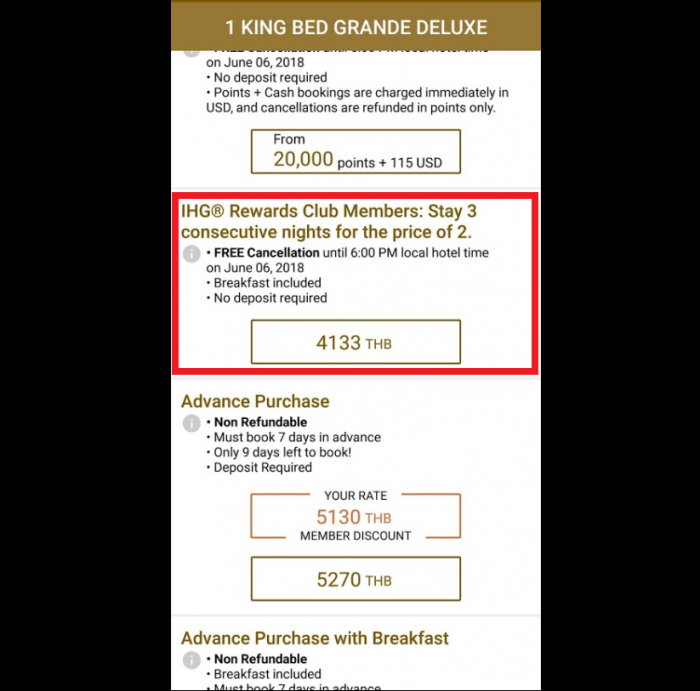 This rate plan is only available on IHG App. Seems to be a real sale at least based on the rate available for a June stay at the InterContinental hotel in Bangkok and flexible payment requirement too (usually rare on rates such as this). Previous articleReader Question: Best Star Alliance Program For Award Flights & Status?